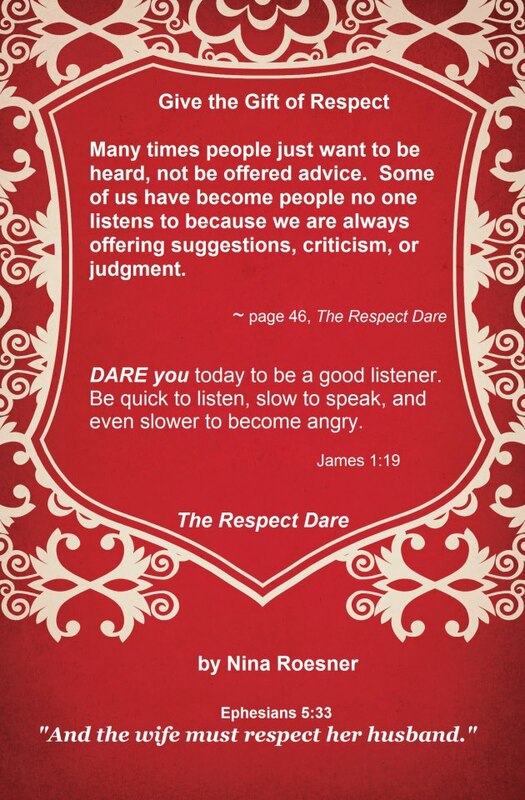 Read an excerpt from The Respect Dare. 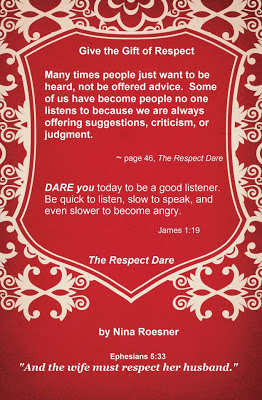 Dare you to make a commitment to go through this bookto invest in your marriage covenant. See the transforming effects of applying RESPECTto your own marriage relationship. and be united to his wife, and the two will become one flesh. This is a profound mystery–but I am talking about Christ and the church. Give a Little Love...Pay It Forward! Make the Most of Today! Want to Change Your Marriage? EMPOWER Your Self in 2013! Keep Calm and Be EMPOWERED!